I installed Freya recently and shortly thereafter the clock disappeared. Sometimes I can access the calendar pop-up by randomly clicking around where the clock used to be, but this doesn't always work. 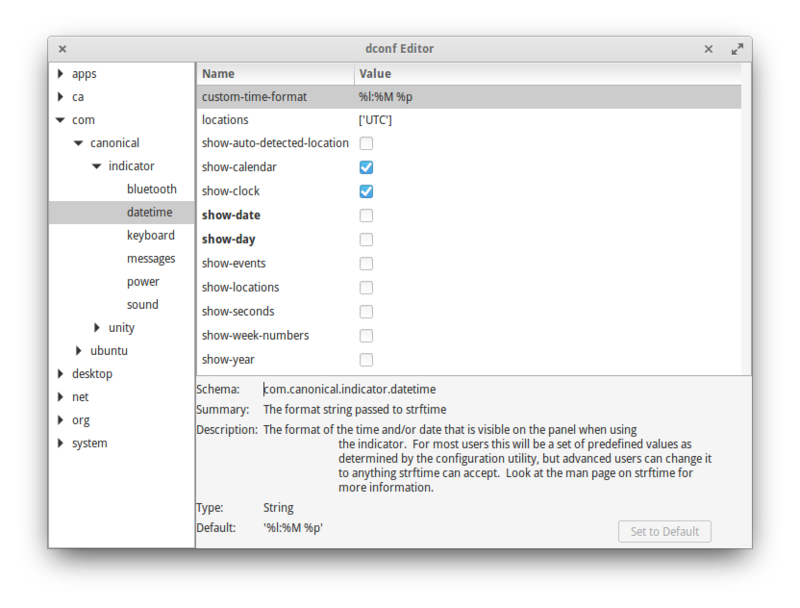 But I walked around it, randomly changing settings in dconf-editor on com > canonical > indicator > datetime. This happened to me after I uninstalled the US language in the Region and Language section and left only Portuguese. After I reinstalled the US language, the clock appeared again. I have the same issue with a wingpanel clock. I tried all instructions above, but it wasn't helped. Can anyone tell me how to fix this bug? Not the answer you're looking for? Browse other questions tagged wingpanel clock or ask your own question. How can I add multiple timezones to Freya? How can I make wingpanel look right with a 3rd-party stylesheet? I just installed Loki and “The Panel” has disappeared.